Fruits are great for health and their rinds are equally beneficial. Normally, we tend to throw fruit peels off but some fruits’ skins are very nutritious for health. For example, orange peels are very nutritious for skin and health. The article talks about various benefits of eating orange rind or applying its paste. Cancer Prevention – Orange peels are rich in flavonoids – an element which helps in keeping cancer at bay. Numerous researchers have proved that flavonoids puts wonderful effect in slowing down the number of cancerous cells and it is very impactful in curing Squamous cell carcinoma which is a type of fatal skin cancer. Therefore, eat oranges everyday for a good health and consume orange peel for a cancer free life. Curb on Cholesterol – Name an anti-cholesterol compound and check the compounds found in orange peel. Almost every anti-cholesterol agent is found in orange skin. Thus, eating orange skin everyday reduces the bad cholesterol in your body and keeps you safe from heart diseases. Benefit in Heartburn – If you are suffering from heartburn, include orange peel in your diet for minimum 20 days and you’ll be amazed at results. It provides a great relief in the case of heartburn. An effective cold medicine – Orange is one of the richest sources of Vitamin C and Vitamin C is the most effective cure for cold. If you are suffering from cold, put some grated orange rind in the boiling water and take its steam. You’ll find your cold to be vanished. Better Metabolism – Orange peels have a great impact in improving our body’s metabolism which in turns results for better digestion. If you want a natural medication for better digestion, orange peel is one of the most effective and cost-effective remedy. Weight Reduction – Since, orange skins offers you a better metabolism, it also catalyzes the weight loss process. A wonderful antioxidant – do you know why orange peel mask gives you a rejuvenated skin? Orange skin is an amazing antioxidant which makes your skin glow. And if you consume it, one orange’s peel can suffice your body’s need of antioxidant. For stronger bones – Well, you might find it little surprising but orange is a good source of calcium. And orange skin contains two times more calcium than oranges do. So, keep eating oranges as well as orange peels for stronger bones. It freshens up your breath – Bad breath is a common problem. If you are tired of chewing gums and mint-candies to blow a fresh gasp of air while your breath, try orange peel. They’ll not only give you a fresh breath but also will make your teeth stronger, as orange peels contain good amount of calcium. Better Immunity – the secret of better immunity lies in the core of Vitamin C. Orange peels are abundant of this wonderful vitamin. Hence, gorging on oranges and orange skins keeps you away from infection along with makes your body more immune. Cure for Asthma – Studies and researches have proved that orange peels astonishingly reduces secretion of phlegm from you mucous membrane. Since, asthma is catalyzed by this, its lower secretion ratio helps in curing this respiratory disease. Manages Blood Pressure – Orange peels are supposed to have qualities which regulate blood circulation in our body. A regulated blood circulation manages the pressure of the blood and keeps it under control. An important ingredient of aroma therapy – Aroma therapy is one of the most famous alternative curative procedures. 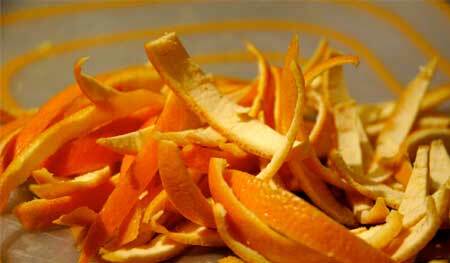 Orange peel enjoys a great place in this therapy, as its aroma is used to offer an immediate relief in headache. Tasty and healthy delight – you must have seen professional chefs using orange zest in many recipes. A small quantity of it not only gives a tasty tangy flavor to the food but also makes the food more digestive. Relief in Bronchitis – Bronchitis is inflammation of bronchial tubes. It doesn’t allow enough oxygen to pass in your body which makes this disease very painful. Though, there are numerous medications available for this but if you are looking for a natural prevention, you should drink orange peel every day. It’s really helpful.